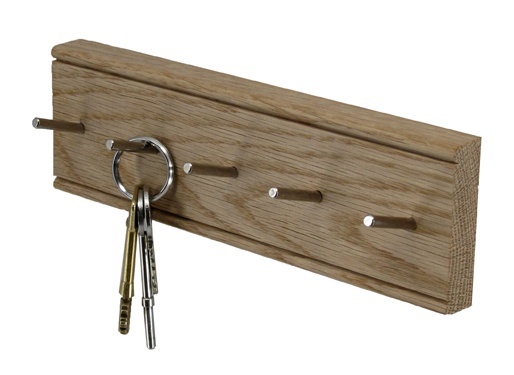 Simple but very useful oak key rack. Matching our shaker style peg rails. Metal pegs are inserted at angles to prevent keys coming off easily so they cannot be lost.